If you have scheduled a campaign to be delivered at a future time, you can cancel it at any point prior to the scheduled time. Step 1. From the left side menu options, select Campaigns > Pending Campaigns. Step 2. All scheduled campaign will be listed here. Locate the campaign you want to cancel from the list. 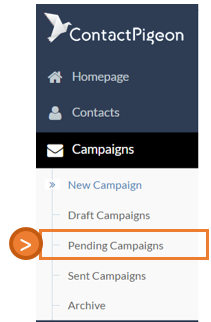 Click the "Stop" button to cancel the scheduled campaign. Note: Once you cancel a campaign, it cannot be re-enabled again. 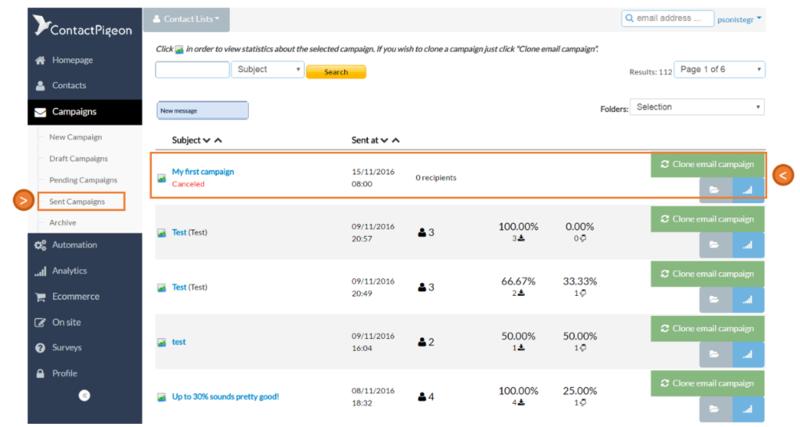 In order to send the same campaign, you can use the "Clone email campaign" feature to replicate the same email. Step 3. You can locate the canceled campaign under Campaigns > Sent Campaigns. It will be listed as Canceled.